There aren’t many people in the world that can say that by age 38 they’d started a successful business and cut down on global waste. But Kyle Parsons, founder of Indosole, can. 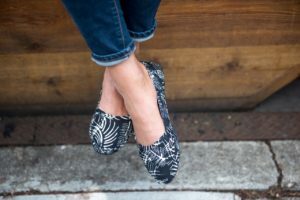 The shoe company, which transforms old tires into shoe soles and stitches them to natural fiber uppers, has recently exited its infancy and is growing at an impressive rate. “I started Indosole with suitcases full of sandals, going from Bali to California,” Parsons recalls of Indosole’s humble 2004 beginnings. “It took us a while to develop our product, but we’re now getting to the point of being excited about it,” he says, adding that they’re finally ready to start selling on a broad scale as well. 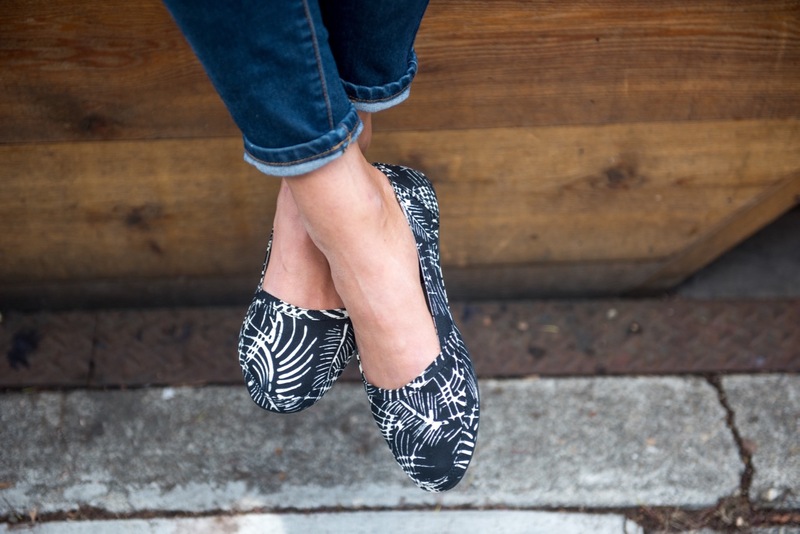 Now a Certified B Corporation, Indosole is joining the sustainable clothing revolution, one set of kicks at a time. Parsons noticed a waste problem while on his first trip to Bali in 2004: there were tires everywhere. Tires don’t decompose (like, ever). They also collect water, where they become breeding grounds for mosquitos that transmit dengue fever and sometimes-fatal malaria. Tires are often burned as cheap fuel alternatives, which adds to atmospheric pollution and harms human health. And it’s not just people doing the burning: Piles of tires can even be turned into toxic infernos by lightning strikes. “It’s one of the largest environmental issues we face today,” Parsons says. While tires can be recycled, they usually aren’t. Even in developed and relatively eco-conscious countries like the U.S., tire recycling is still in a “growth stage” and far from standard. Imagine how much worse the situation is in developing areas, where for the most part such practices aren’t even on the radar. But that doesn’t mean tires can’t be recycled in developing countries. It just takes a creative and determined mind to figure out how to make it happen. The love affair with Bali, not to mention with creative shoes, started during that same first trip to Indonesia. But it wasn’t until he looked out the window and saw motorcycles whizzing by that he made the connection: he too could take old tires and turn them into functional items, convincing consumers to pay to remove a sizable chunk of the tire problem from the waste stream. After all, the indestructibility of tires, which is such a liability in the environment, is a great asset when it comes to durable footwear. 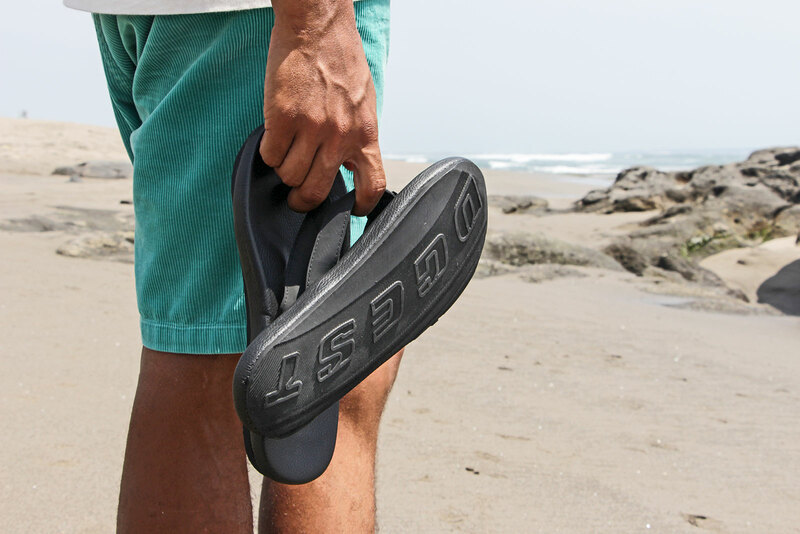 Parsons returned to California and began working on the idea that would become Indosole. “Because we offer a really unique product and unique storyline that hadn’t been done before, it took us a while to develop our product,” Parsons explains. “I didn’t know anything about product development, so I had to learn by trial and error.” He had to learn where to source old tires (they pay per-tire at garages, and buy from tire brokers), how to treat them (they remove the sidewall and cut it into the shape of a sole), and how to make them into footwear (they manufacture uppers from natural fibers). This wasn’t easy, Parsons notes. In order to produce the shoes, he had to find a factory to do the work, which started simply by asking people on the street. Eventually Parsons found a factory owned by British expatriate Adrian Ellis and staffed by local Balinese craftspeople that could handle the job. 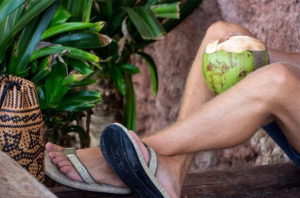 Along the way, he earned support from expats living in Bali, NGOs, and nonprofits, all of whom were interested in his idea. Still, for several years, the company was really just a glorified hobby with aspirations of being a business. But in 2009, with enough interest and enough knowhow, they formally launched. Indosole now offers a range of products, from burlap purses to batik pants and trucker hats. Of course, the stars of the show are still the tire-soled shoes: sandals, flats, loafers, and tennies for men and women. Some come in natural shades like black, tan, and olive, while others sport wild, tie-dye hues or bright Southwestern prints. Indosole’s sourcing process has also matured. To date they have rescued more than 64,000 tires from the trash heap, and have streamlined their operations to use more of the tire, further reducing waste. “We have started using larger tires like truck tires and can now make 6 pair of sandals or shoes from each tire,” Parsons says. Their next mission? Seeking partners for a project they’re calling Rubber to Revenue, which is exploring how waste rubber from ground-up tires can be used to create a wide variety of products, including floor mats, car mats, yoga mats, roof shingles, trash cans, or buckets. 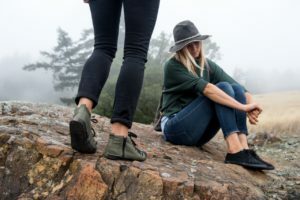 Beyond that, though, Indosole’s founder and its overall message urges everyone to become more aware about ecological issues. Parsons strives to live his life around the same principles, based in part on his early work experiences. “When I was 20, I got a job at a recycling plant; I never looked at a plastic bottle the same way after that experience,” he recollects. “Along the way, I’ve gone from making sure I use only recyclable items to minimizing my use of plastic and other waste materials.” Parsons noted that if everyone just carried around their own reusable water bottle and refilled it, that right there would make a huge impact on the world’s waste problem. 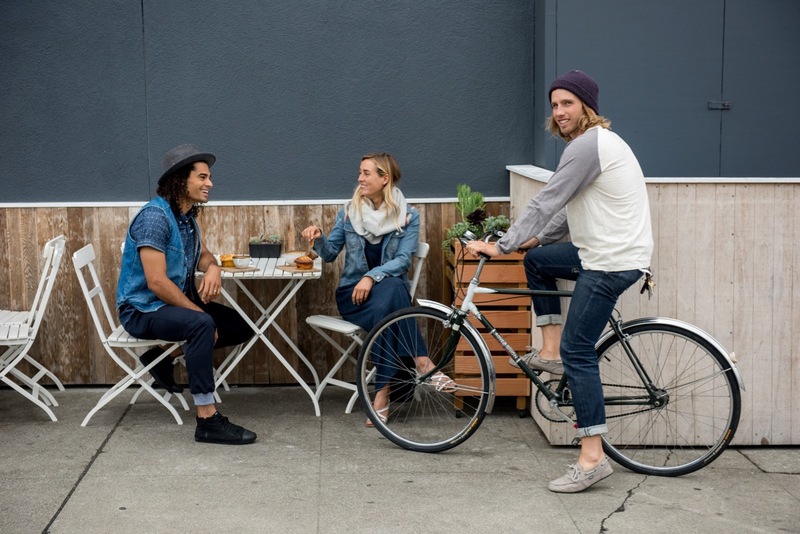 And starting Indosole has further encouraged him to change his lifestyle, using more vegan products, buying organic cottons, and looking for sustainable materials in all his purchases. 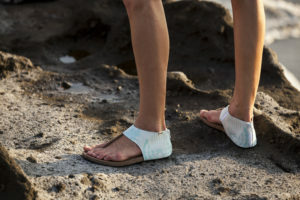 He hopes to use Indosole to create awareness about the future of conscious consumerism, as well as a way for anyone who wants a durable, stylish set of shoes to take a little bit of waste out of the world. With this reporter, at least, he has succeeded: my next pair of sandals is coming from Indosole. And hopefully, all the pairs after that.